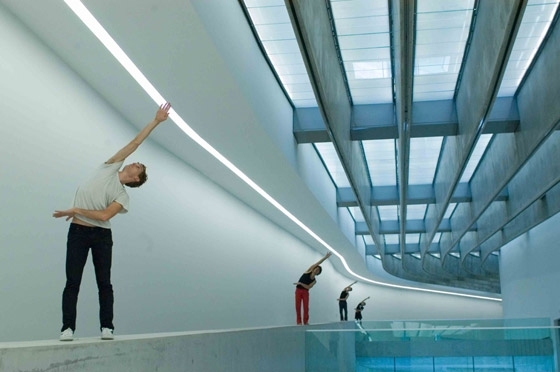 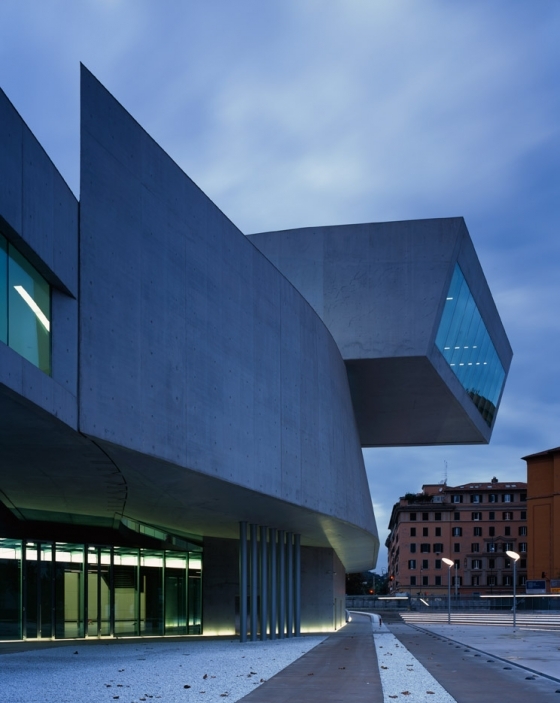 “I see the MAXXI as an immersive urban environment for the exchange of ideas, feeding the cultural vitality of the city. 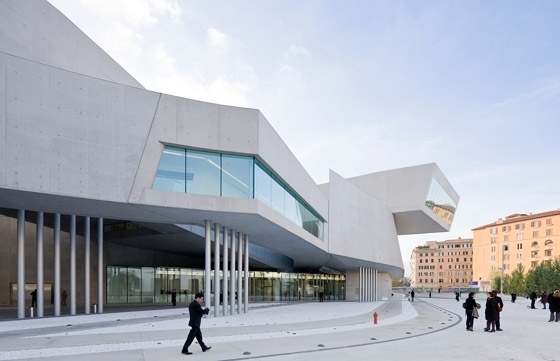 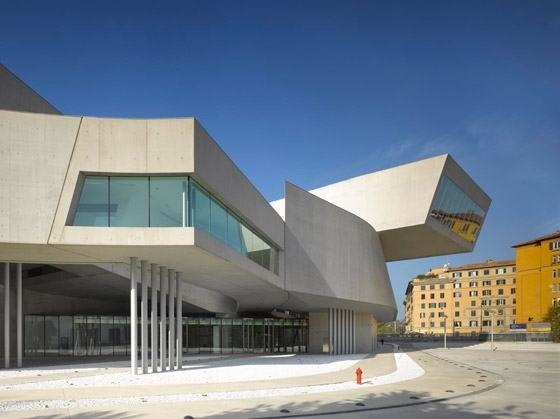 The MAXXI should not be considered just one building - but several. 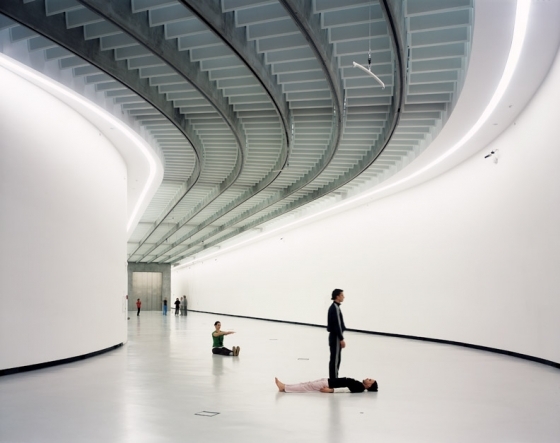 The idea was to move away from the idea of “the museum as an object” and towards the idea of a “field of buildings”. 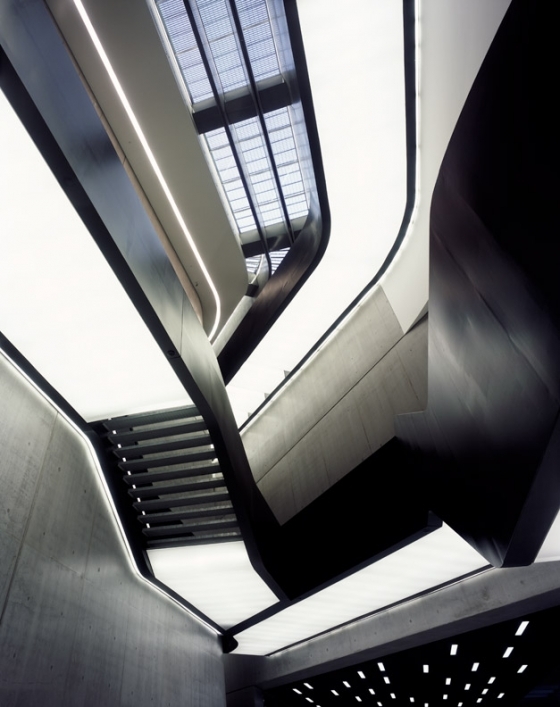 After many studies, our research evolved into the concept of the confluence of lines, where the primary force of the site is the walls that constantly intersect and separate to create both indoor and outdoor spaces. 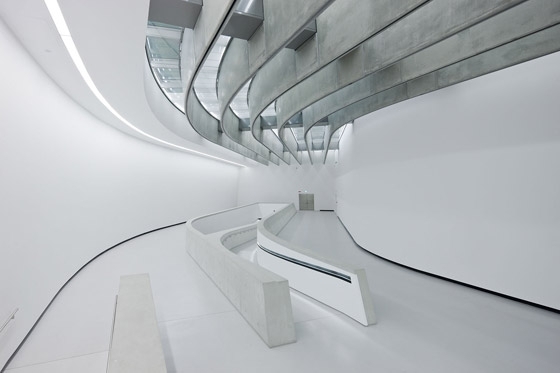 It’s no longer just a museum, but an urban cultural centre where a dense texture of interior and exterior spaces have been intertwined and superimposed over one another. 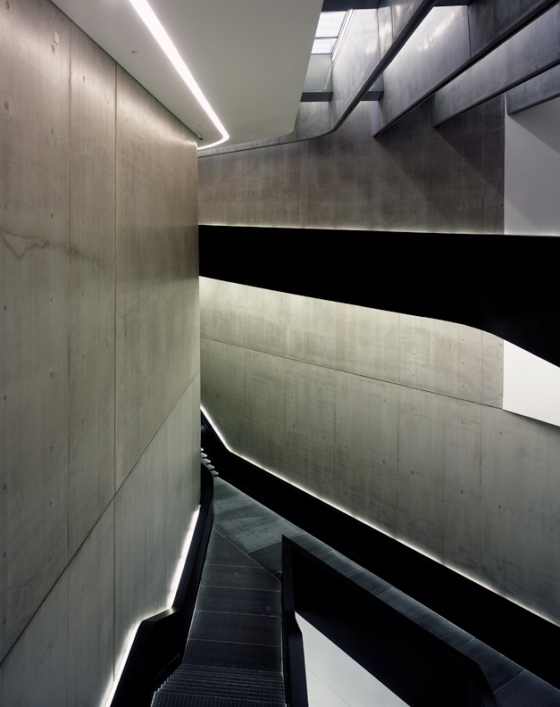 It’s an intriguing mixture of galleries, irrigating a large urban field with linear display surfaces. 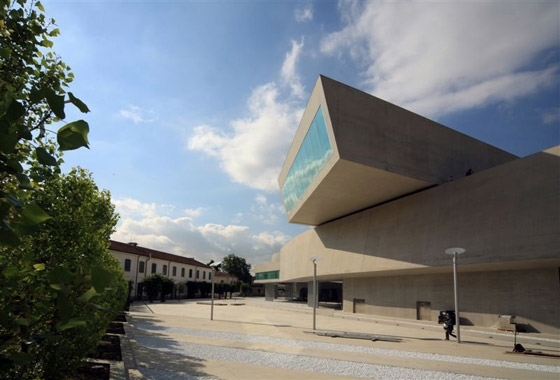 The MAXXI relates with the urban context within which it is set by renewing the horizontal development of the former military barracks. 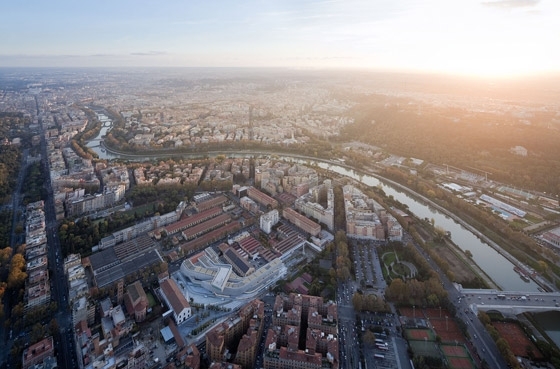 The geometrical plan of the project aligns itself with the two urban grids that regulate the town planning structure of the area and the new interpretation of these two geometrical plans within the proposal generates the surprising geometrical complexity of the campus. 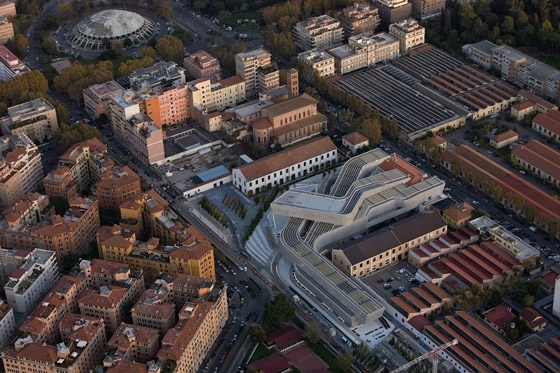 The two urban grids are mediated by sinuous lines that harmonise the plan and facilitate the flow within the site. 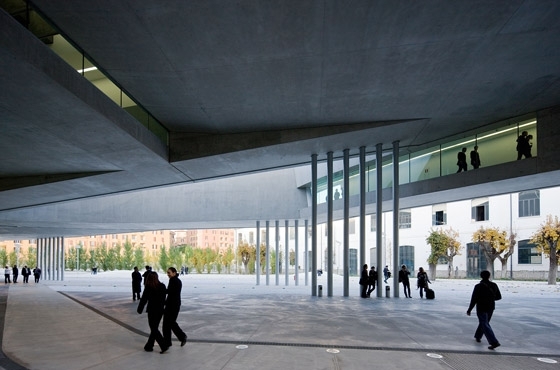 The pedestrian walkway that crosses the campus is open to the public and has been reinstated after approximately 100 years of being blocked by the barracks. 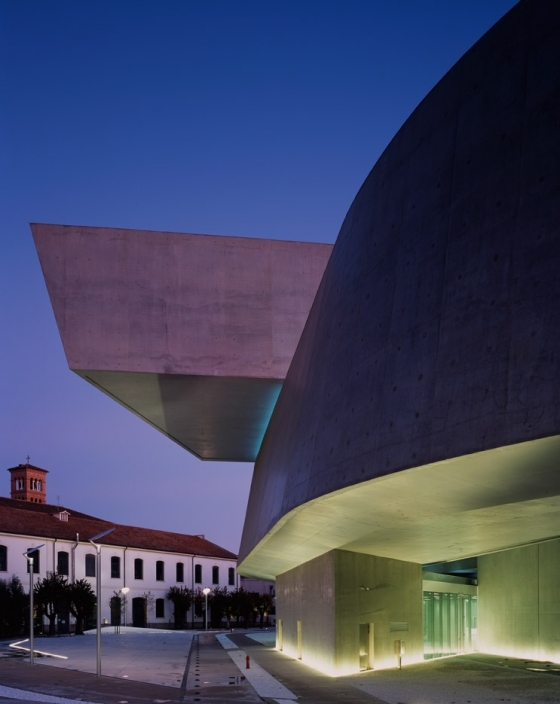 This walkway follows the soft outline of the museum, sliding below the upper level galleries towards Via Masaccio. 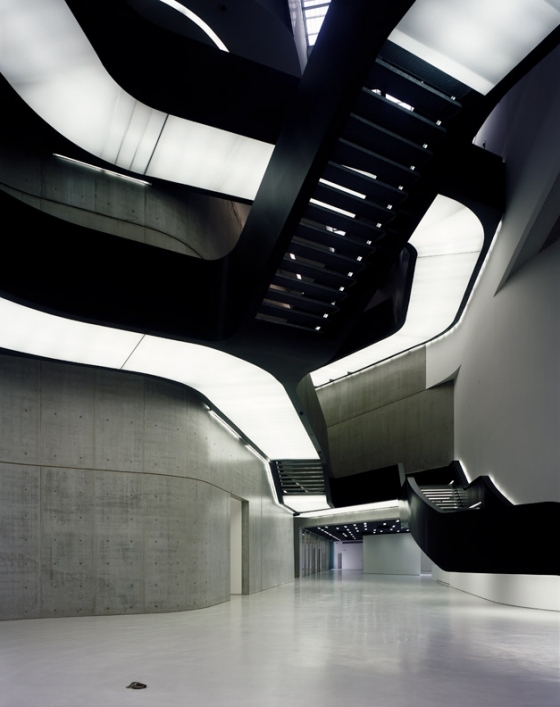 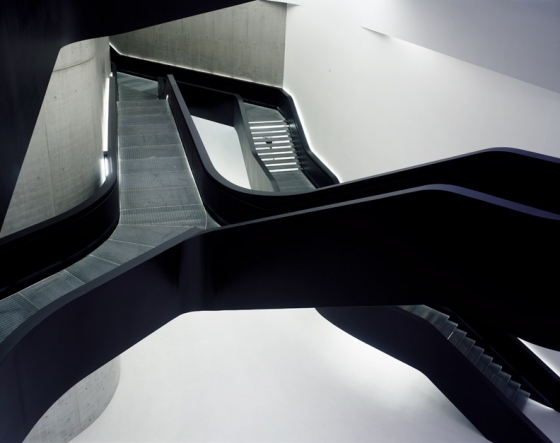 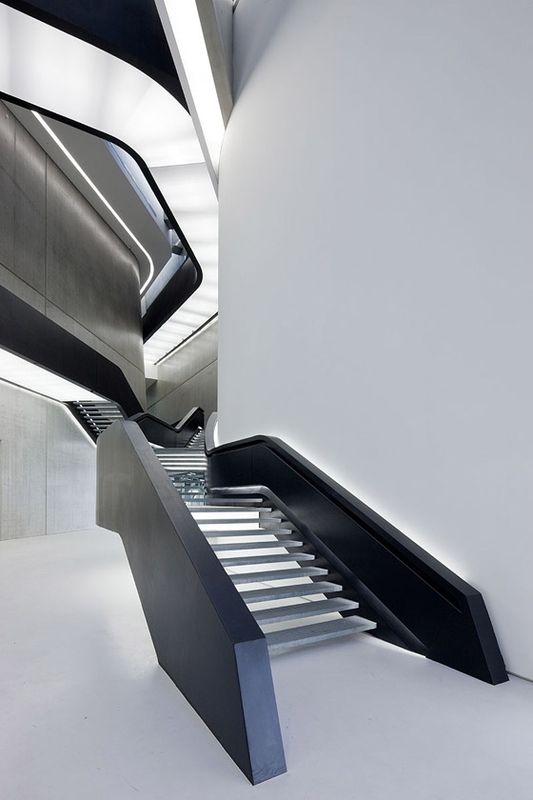 The interior of the MAXXI can be seen by visitors and pedestrians through the numerous openings in the MAXXI’s curvilinear walls that on the one hand, protect its contents, yet beckon the visitor through the broad glazed surface on the ground floor. 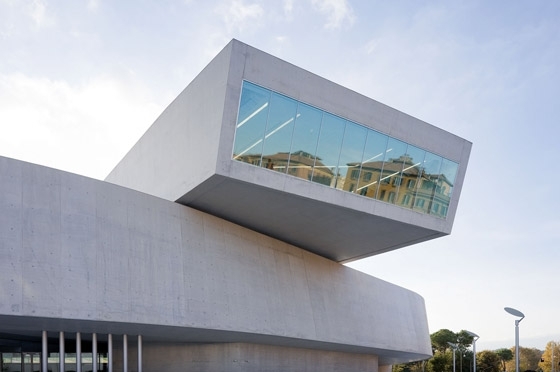 The main concept of the project is directly linked to the purpose of the building as a centre for the exhibition of visual arts. 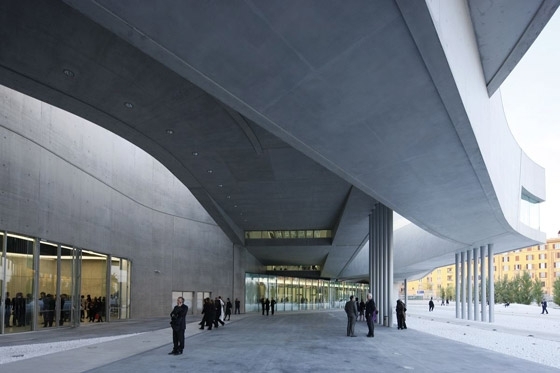 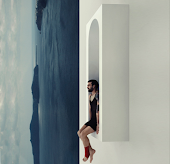 The walls that cross the space, and their intersections, defines interior and exterior spaces of the MAXXI. 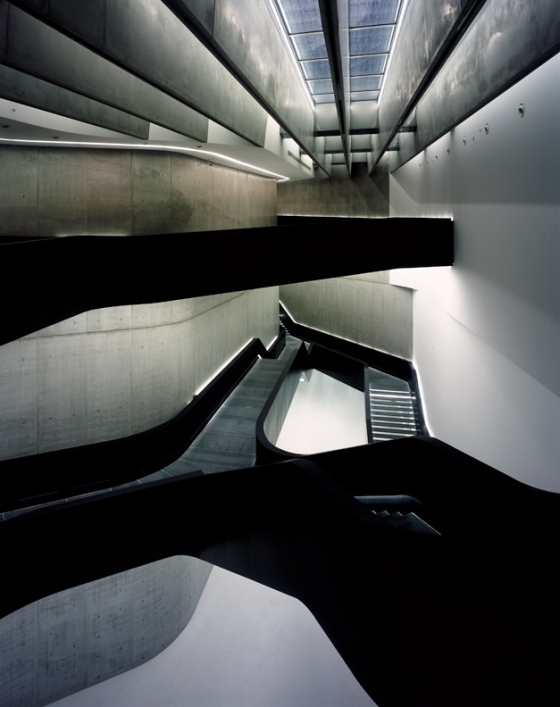 This system acts on all three levels of the building, the second of which is the more complex - with a wealth of connections with various bridges that link buildings and galleries. 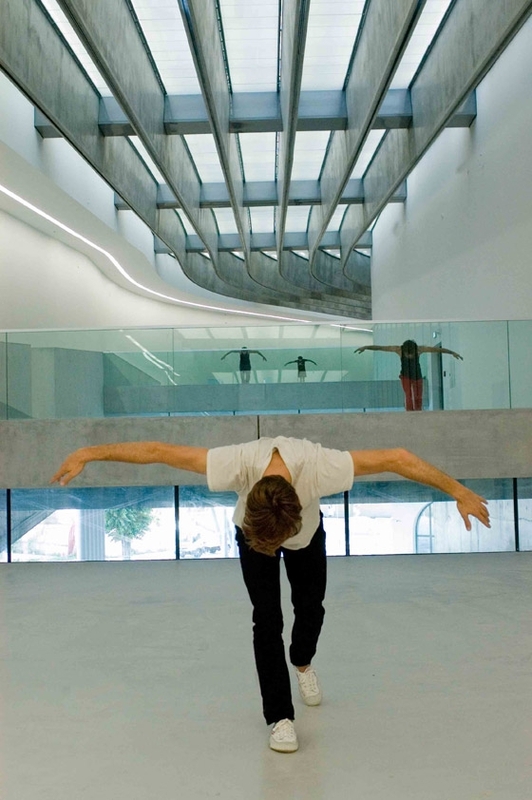 The visitor is invited to enter into a series of continuous spaces, rather than the compact volume of an isolated building. 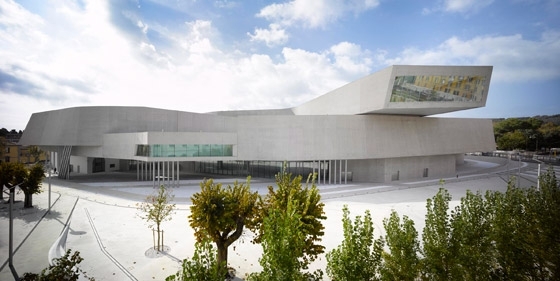 The interior spaces, defined by the exhibition walls, are covered by a glass roof that flood the galleries with natural light filtered by the louvered lines of the roofing beams. 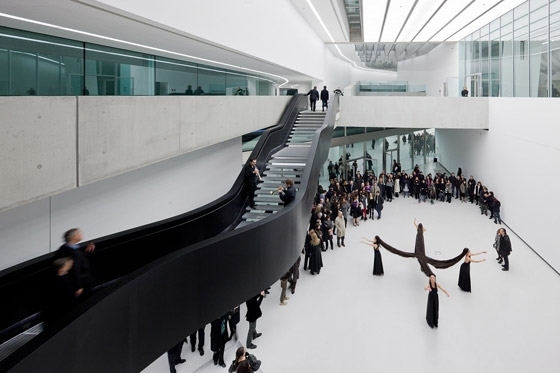 These beams underline the linearity of the spatial system, aid in articulating the various orientations of the galleries and facilitate circulation through the museum and campus.